Whether you own a hair, tanning or nail salon, your décor should reflect what you want to deliver for your clients. It should be professional, clean and comforting. You want to make your customers comfortable by supplying them with the best possible products, whether it’s something you put in their hair or what they wipe their hands on in the bathroom. Improve the look and feel of your salon by investing in cotton premium-plus hand towels from Towel Super Center. These plush, fluffy towels are a step up from the hand towels you find at the typical salon. Made from 100 percent cotton, they come in a 16-by-27-inch size that’s big enough to dry off hands entirely. You can also use them for other purposes in your salon, such as covering nail tables or wiping down tanning beds. Want to know the best ways to keep your premium plus white hand towels looking great season after season? Launder the white hand towels soon after they've become soiled. Hang wholesale hand towels to dry before you launder them rather than leaving them in a bunched, moist pile. Use a detergent that isn't too harsh on the fibers, such as a bleach alternative or organic/green choice. Avoid liquid softeners because they can leave a film on the fibers, affecting overall thirstiness and performance. Tumble dry and store or use the towels while they are still warm, so the fibers are at their fluffiest. Order your favorite white hand towels from the online store that other salons trust, Towel Super Center. Remember to get all your linen needs here. It's one-stop-shopping for salons. When you find a great product, you want to ensure you never run out. You may have ordered nail polish in bulk for your salon for just that reason. Make sure you never run out of our towels. You can stock up on the premium-plus white hand towels by purchasing them in bulk, which will also save you money. We price our towels to help you buy more for less. You can save money over the long run when you purchase our sturdy cotton premium towels. They will stand up to repeated use and lots of laundering. You won’t have to shell out money to replace them regularly, as you would with lower-quality towels. Your customers will also appreciate how fluffy these towels remain even after many washings. New towels can bring a fresh look to your salon. They help keep your facility from looking dated, and they show your clients you are committed to high quality. When you choose our premium-plus hand towels, you get a product that will last for a long time and continue to provide the reliability salons need from their towels. 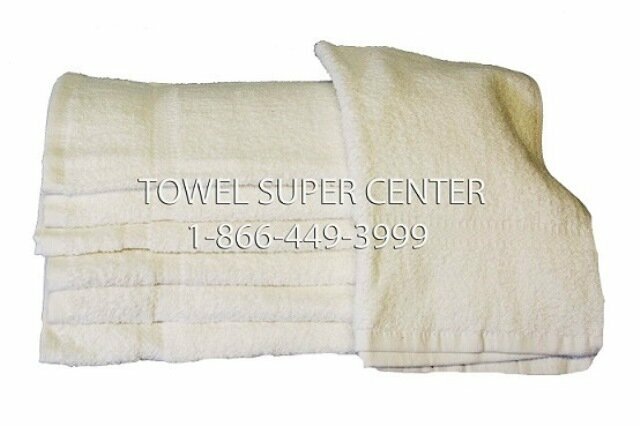 Contact Towel Super Center today for more information on pricing or to place your order.